Have you been intrigued or inspired by aerial circus performers? Want to experience a circus workout? 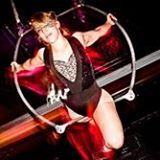 Aerial arts will work your body hard and you’ll look amazing doing it! 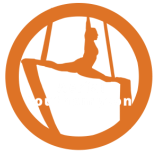 So don’t just admire the aerialist from “Cirque du Soleil”, become an aerialist yourself by coming along to our Aerial Silks and Aerial Hoop classes! Aerial rope allows you to learn aerial acrobatics, drops, locks, poses and for the adrenaline junkies even flips on and around a vertically suspended rope. This is a great workout, mainly focused on upper body and core strength.